Click at the shipping menu on other delivery adress. Allong this way you can give your friends and business relations a gift. 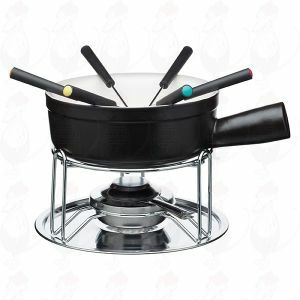 A beautiful and solid cast iron fondue set for 6 persons. 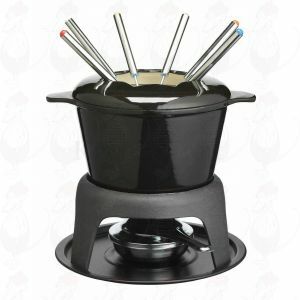 A beautiful and solid ceramic fondue set for 6 persons. A beautiful handmade copper fondue set for 6 persons. 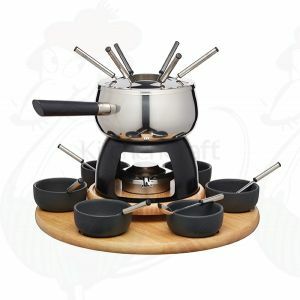 A wonderful fondue set with matching dishes for 6 persons. Click at the shipping menu on other delivery adress. Allong this way you can give your friends and business relations a Cheese Fondue gift. 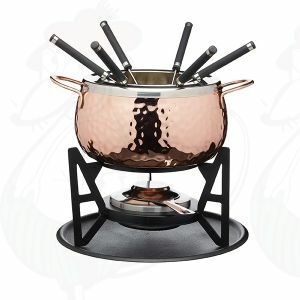 We can also deliver your gift in a nice gift box or hamper. 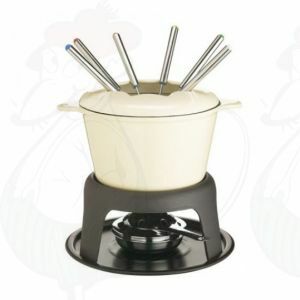 © 2019 www.CheeseFondueShop.co.uk is part of Kaashandel Peters, Harderwijk, The Netherlands. All rights reserved. You can buy and order all products and cheese fondue set in our shop.